Shoe, Frederick Carder, Corning, NY, 1925. 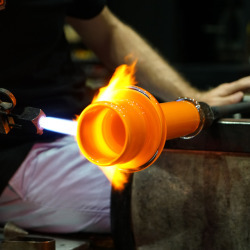 Gift of Corning Glass Works. When you think of Cinderella, what first comes to mind? For us, the glass slipper is the obvious star of the show. Did you know that The Corning Museum of Glass has a fairytale shoe of its very own? This glass slipper was created long before both Disney’s live-action movie that opens today and the 1950 animated version of Cinderella. Much like Prince Charming searching for the mysterious owner of a lost slipper, the Museum is searching for more information about this lovely piece in its collection. 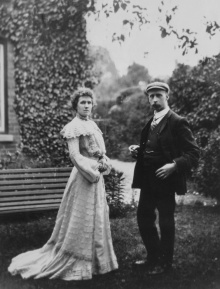 Frederick Carder and his wife Annie, England, probably late 1880s. Collection of the Rakow Research Library, The Corning Museum of Glass, Corning, NY (Carder Archives). 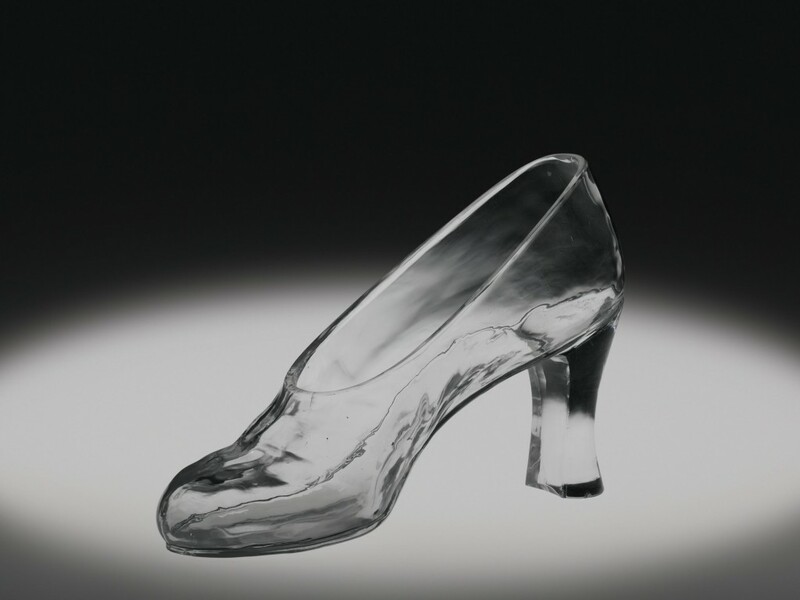 Designed by Corning-based glassmaker Frederick Carder, and created in the 1920s, legend has it that the Museum’s glass slipper was commissioned by a New York City-based movie studio for an early Cinderella movie. Information from one source suggests that the studio ordered several pair of glass shoes, planning to put them on display in the lobbies of movie theaters to help promote their film. Other information suggests that the shoe was made for movie star and fashion icon Gloria Swanson. 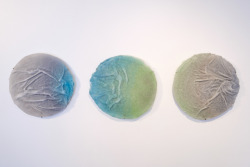 Two additional Carder slippers, variations of the piece pictured above, are part of the Museum’s collection; it’s uncertain, however, exactly how many slippers were produced— or for whom. Frederick Carder died in 1963 at the age of 100. Many years after his death, Steuben Glass crafted another glass shoe that is now on display in the Cinderella Castle Suite at Walt Disney World. Carder’s fairytale-inspired glass slippers may not have been worn to a ball, but they most certainly are a favorite amongst visitors. The mysterious glass slipper pictured above, and it’s match, are on display in the Crystal City Gallery.